Two 5 Acre parcels for sale in Newberry Springs, totaling 10 acres. Both parcels are available for sale separate or together and sit less than 1 mile north of the 40 freeway. Newberry Springs is in San Bernardino County, east of Barstow, CA and is a predominately rural community where agriculture lifestyles abound. The property sits on the east of Newberry Springs approximately 3.6 miles east of Newberry Road. The owner is offering to provide financing for both properties. To purchase only one parcel it means that for just $2,500 down you could purchase this property. The seller would carry a loan of $10,000 amortized at 7% interest for 8 years. Your monthly payment would be $136.34 or more per month until paid. Surprisingly many different types of crops are grown in this desert region, due to the shallow water depths near the underground waters of the Mojave River. The properties to the southeast, the east and the northeast are currently being farmed. The Newberry area is filled with ancient volcanic rock formations, lava beds, sand dunes, and mineral springs. Newberry Springs was originally a source of water and rest for travelers in wagon trains coming down the old Mormon Trail in the 1850's. Camp Cady, a few miles north, was garrisoned on and off for the early part of the Civil War, but later home to the U.S. Army as a post along the Mojave Road to protect travelers from Paiute attacks. In the 1880's the Atlantic and Pacific Railroad hauled water cars from Newberry Springs to the stations and towns in the region, spurring life into the area. Directions to the property from the 40 Freeway: Exit the I-40 at National Trails Hwy (Exit 18), turn right onto National Trails Hwy (1.8 Miles), turn left onto Newberry Rd. (.9 Miles), turn right onto Fairview Rd. (3 Miles), turn right onto Fort Cady Rd. (.5 Miles), turn left onto Palo Verde Ln. The first parcel is .5 miles east along Palo Verde and if you continue another 660 feet farther east you will reach the second parcel. 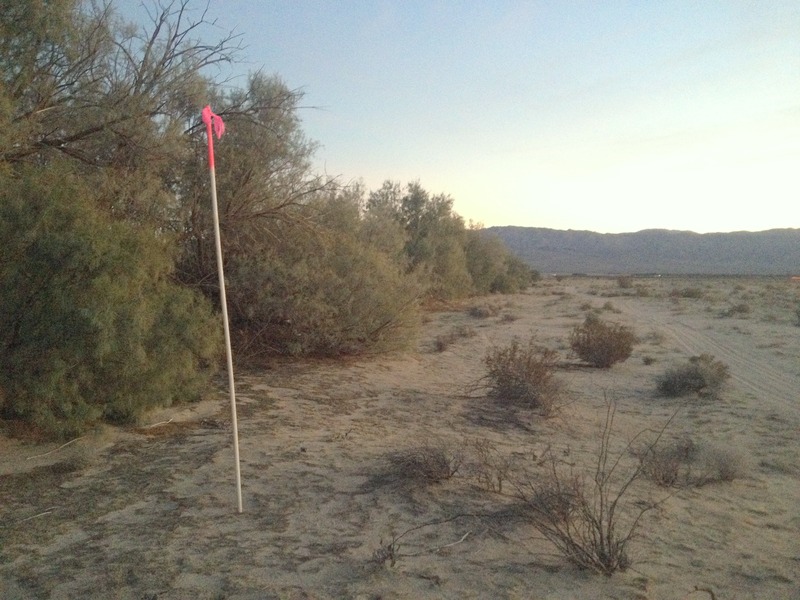 Both are marked with 10 foot white PVC poles topped with pink tape to mark the approximate corners of the properties.